"After making Aces Go Places IV , I didn't want to do another comedy. I wanted to make a police thriller with a script that emphasized some strong characters. The company agreed but suggested that it also play up the emotional life of of the male character. The inspiration for the jewelery robbery came from a newspaper story. It was a bizzare incident in which the police seemed to know that the crime would be commited.The police greatly outnumbered the robbers and even recorded the crime on video.As the whole case was very suspicious, I started looking into the background.I talked to the police and even the robbers. But I didn't want to just write a realistic story. I wanted to romanticize the situation,the characters and cast Chow Yun Fat the undercover cop as a tragic hero, a man who will ultimately be victimized by his own feelings. In City On Fire I tried to achieve an ambiance of "coolness" a mood of ambiguity. The color scheme is thus bluish gray,rather low-keyed. The score by Teddy Robin is mainly saxophone which I believe is a fairly macho instrument and therefore very suitable for this story of masculinity." Ever since Quentin Tarantino confess that the last half of Reservoir Dogs was taken directly from Ringo Lam's City On Fire, the film suddenly gain international recognition,especially among American audiences. 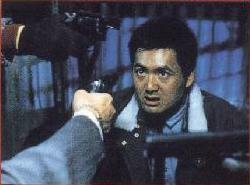 However all the sudden recognition has done more damage than good to this Ringo Lam classic. Movie critics began to compare City On Fire to Reservoir Dogs and naturally, the latter came out as the better film. Let me point out that it's extremely unfair to compare a Hong Kong film with a Hollywood one,it's just like oranges and apples. City On Fire deserves to be judged on it's own right and furthermore it did came out first before Reservoir Dogs. City On Fire tells the tale of undercover cop Ko Chow who is forced to question his loyalties after becoming attached to his criminal colleagues.Matters become even more difficult when Ko Chow's cover is blown during a jewellery heist. 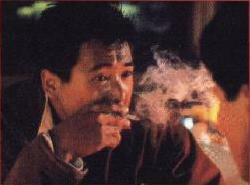 City On Fire standouts as one of Ringo Lam's finest films,and one of the best crime drama to come out of Hong Kong. Ringo Lam takes a different approach to the action genre but focusing on relationships and male-bonding instead of the action. Ko Chow is a tragic character who not only has to risk his life working underworld but his personal life after work suffers as well.Ringo Lam takes time between the plot to survey the wreckage of Ko's love-life following his devotion to his proffesion. Ko is faced with the ultimate dilemma when his fiancee forces him to get engaged when he is close at cracking the case. 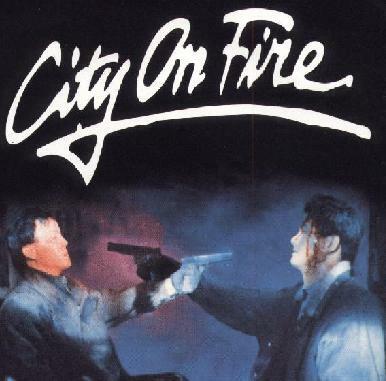 Those who enjoy melodramatic action films like John Woo's A Better Tomorrow would love City On Fire but hard-core action fans might have a difficult time sitting through City On Fire as the action sequences are far and few.